I have been to Niagara Falls many times in my life, most often on the Canadian side of the border. As it often happens when one lives in close proximity to a landmark or tourist attraction, I grew to take the falls for granted and failed to see their grandeur. That was corrected somewhat when I brought my children to see the Falls for the first time a few years ago. They were in awe and I got to experience it through their eyes, and rekindled some of that magic. Since then I have had the opportunity to not only witness others seeing the Falls for their first times, but also to experience Niagara Falls in new ways. On a subsequent visit with my children, rather than just seeing the Falls and watching fireworks, we decided to embrace the whole experience that Niagara Falls has to offer. We took the Journey Behind the Falls, rode the Jet Boats, did some sight seeing on the Niagara Skywheel and saw all that Clifton Hill has to offer. It was a trip to remember! 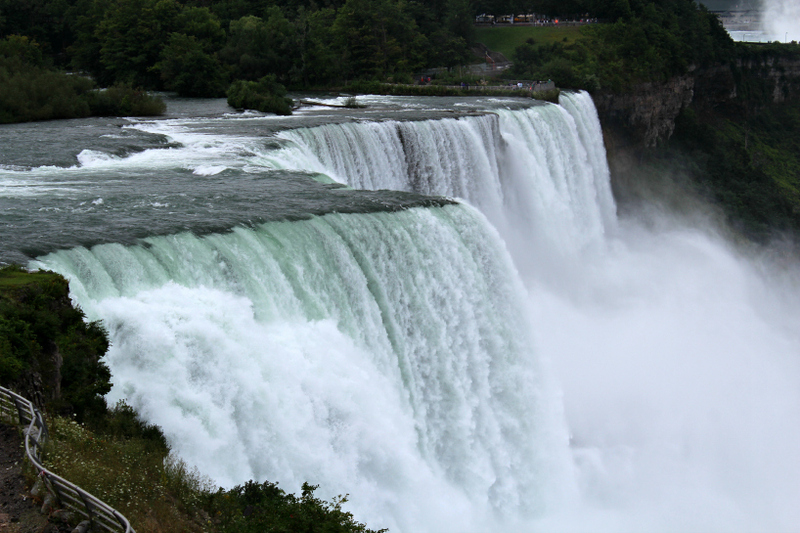 Recently I had the chance to visit on the New York side of Niagara Falls. It was my second trip to the US side of the Falls and I discovered even more fun over there! One of our first adventures was to the Cave of the Winds. This is an experience like no other! The Cave of the Winds trip takes you closer to the waters of Niagara Falls than you thought possible. You ride an elevator 175 feet (53 meters) deep into the Niagara Gorge. Then, clad in a bright yellow poncho and wearing the special footwear provided, you follow a tour guide over a series of wooden walkways to the famous “Hurricane Deck”. As you stand at the railing, you are a mere 20 feet (6 meters) from the billowing torrents of Bridal Veil Falls. The rushing waters loom above you, dousing you with a generous spray as you face the thundering Falls head-on. Rainbows are usually visible day and night. 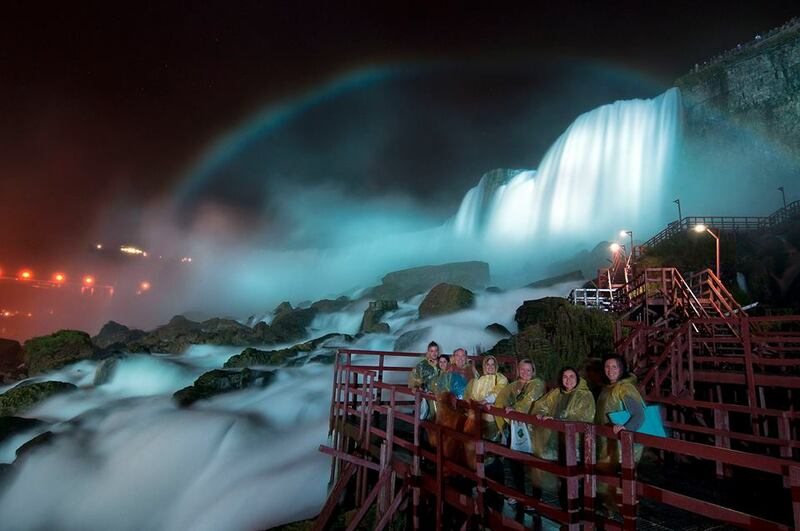 Everyone can experience the sights of Niagara Falls. A deck has been built 150 feet from the base of the Falls especially designed for handicapped and adults with children in arms. You don’t get out of that without getting wet, but in what other circumstance could you say that you actually stood under Niagara Falls? Another up close and wet experience to take at Niagara Falls is the Maid of the Mist. As synonymous with Niagara Falls as romance, the Maid of the Mist has been on these water since the mid 1800’s. The boat ride will take you past the American Falls and the Bridal Veil Falls, and bring you as close as possible to the Horseshoe Falls. You will get wet, and you will also get an outstanding view of all three falls. 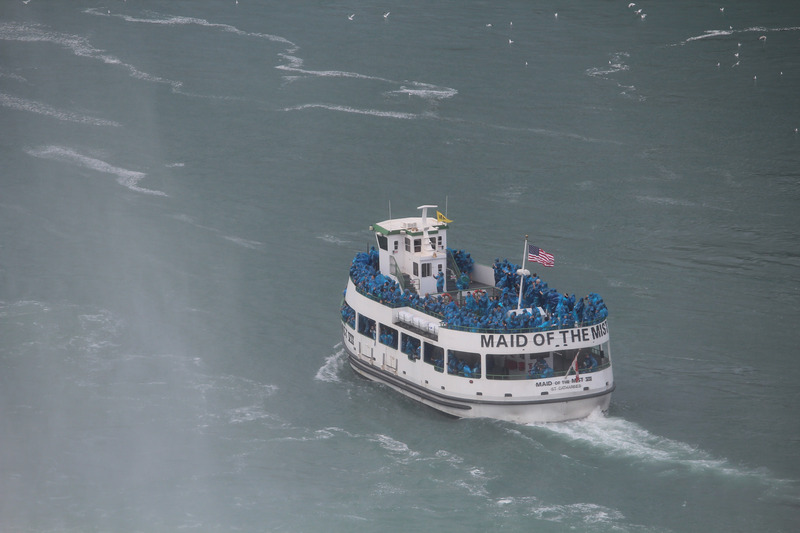 The Maid of the Mist is just one attraction in Niagara Falls that is rich in history. A short jaunt over to Lockport will give you the opportunity to take a cruise on the Erie Canal and go through some of the locks in the area. If you are feeling really adventurous and want to learn some fantastic history for the area, head over to Lockport Cave for an underground boat tour. Our tour was given by one of the founders of the caves and it began with an outdoor tour of the locks and the area before heading into the cave entrance you see below. From there we walked through damp and dark caves while he shared stories of the discovery of the caves and the work they have done over the years. Eventually we boarded a boat and our tour continued on the water through the caves. These caves have been featured in movies such as Sharknado and were investigated by the Ghost Hunters as well. This is a perfect stop for the adventurous tourist. 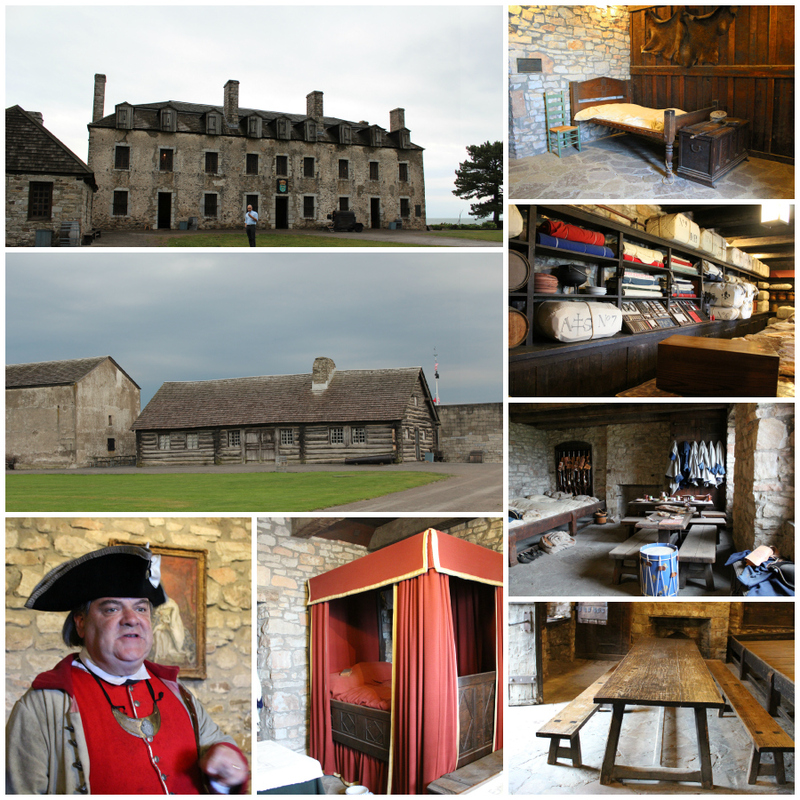 History buffs will also love Old Fort Niagara. 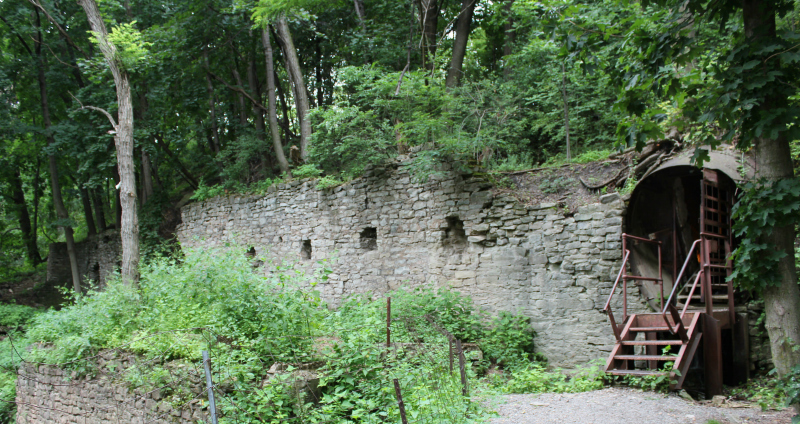 Inside the Fort, you’ll tour original buildings where Native American, French, British and American soldiers lived and worked from the 18th to the 20th centuries. During the summer months you’ll witness musket and artillery firing demonstrations, go on a guided tour, see artisans at work and learn about life on the Niagara Frontier during the 18th and early 19th centuries. The tour guides are in full costume and they are very knowledgeable about the fort and the historical events surrounding it. You can even watch them shoot a canon following the exact technique that would have been used in the past. Fort Niagara is a place that I will definitely be visiting with my children. They will love seeing these artifacts up close! Niagara Falls is known around the world for the waterfalls but any visitors who make the trip will find there is so much more to discover in the area. Visit Niagara USA to see everything there is to offer in the area. So beautiful! I’ve never been to the US side. I grew up in Hamilton and it wasn’t until a visit back to Ontario that I actually visited the Falls and rode the Maid of the Mist. It was my dad’s first time riding too so it was a neat thing to experience together! I’ve been to the Canadian side so many times, but never to the US side. It may be worth a visit! We keep saying we should go over to the US side but haven’t done it yet, maybe on our next trip to the area. I have been to Niagara falls on both sides once, but never got the chance to ride on the mist….but I’m definitely going to do it next time. The falls are so beautiful at night! I really want to bring my boys on the Maid of the Mist when they are a little older. Niagara Falls is a great place to visit with your kids. Great photos! We go to Niagara Falls several times a year. There is always something new to discover or try out. This sounds very interesting! We did a tour kinda like this in quebec, and we learned the history of the buildings! Love tours like that! I would really love to go. Thank you for the wonderful pictures and overview of both sides of the Falls. I have never been there but know people who have been there and loved the whole experience. Isn’t it wonderful when we see places and experience them through our Children’s eyes?! Sad to have Maid of the Mist replaced, but glad I got to take a ride! There’s so much to do in Niagara Falls! I have been to Niagara Fall many times, but never to the American side. After reading your blog and learning about what it has to offer, I will have to make the U.S. side of the Falls on my list of places to visit this summer! I’ve never been to niagra falls but it’s on my lis. I have been to the Falls many times but not recently.I am fascinated with those caves.Wow!I would like to go back just to see them. Niagara Falls on the Canadian side is so gorgeous.I love your beautiful pictures. I have never been to Niagara Falls. When we come, we will certainly go on the Cave of the Winds trip, sounds very exciting. Oh and my family would really think it is something to shoot a canon. I haven’t been to Niagara Falls since I was a bopper. I remember being terrified just going up the Skylon.haha…..been afraid of heights my entire life…. It sounds like such a fun trip. I would love to go on that an underground boat tour! This looks like a lot of fun. I am thinking about taking my family next summer.